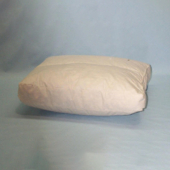 Our Travel Pillow Cases are available in; 200 and 308 thread count, white, quality, down proof ticking. 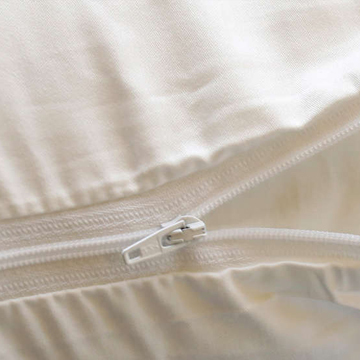 The 200 thread-count is back-fill and calendar, resulting in a much better finish than the “regular” 200tc fabrics. The 308tc, Combed Cotton fabric, has had all the short fibers ‘combed’ out of it, leaving only the longest fibers, making for a softer and stronger fabric. 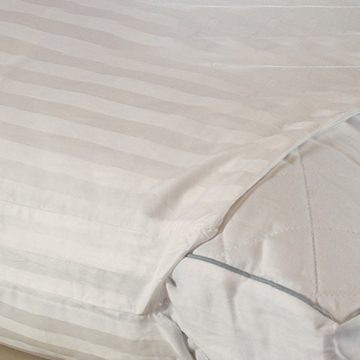 The 308tc has an exquisite finish and shine, giving pillow cases a great feel, we also use it in the high end pillows. Our pillow cases and protectors are available in; 200 and 308 thread count, ALL are white, down proof ticking. The 200 tc is back-fill and calendar, resulting in a much better finish than the “regular” 200tc fabrics. The 308, Combed Cotton fabric has had all the short fibers ‘combed’ out of it, leaving only the longest fibers, making for a softer and stronger fabric. The 308 has an exquisite finish and shine, giving pillow cases a great feel, we also use it in the high end pillows.